Read informative reviews for the top bed & breakfasts in Staten Island. Enjoy some of the most delicious complimentary breakfasts at the best bed & breakfasts in Staten Island. Relax in elegance at one of the bed bed and breakfasts Staten Island has to offer. 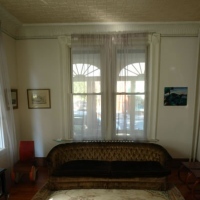 One of the Top Staten Island Bed and Breakfasts! 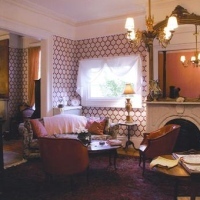 Overlooking Manhattan, the Fort Place is one of the top Staten Island bed & breakfasts. Step into this lovely Victorian home, complete with charming fireplaces and cool art deco furniture. The house consists of two private floors, each with two bedrooms and a bath; as well an upper floor with a skylight bath and a beautiful view of the Verrazano Bridge. Amenities include refrigerators, free wi-fi, and a delicious continental breakfast. If you're looking to explore Manhattan, the B&B is only two blocks away from the ferry to Downtown Manhattan! A non-refundable one-day reservation fee is required. If you require any more information, please call 718-772-2112 or send an e-mail to info@fortplace.com. A Romantic, Elegant Bed & Breakfast in Staten Island! An elegant house on the North Shore of Staten Island (within the town of West New Brighton), the Victorian Bed & Breakfast is a fine Italianite Villa that was built in 1846. Inside you will find chandeliers, mirrors, pieces of furniture, and other items that reflect its original Victorian decor. Enjoy delicious country breakfasts and warm hospitality from the gracious innkeepers. You'll be given the choice of two romantic rooms with a bath on each floor. One of the best B&B's in Staten Island, the venue is perfect for romantic getaways for you and your special someone. The Victorian Bed & Breakfast is only a 15-minute bus ride from the Staten Island Ferry, making it extremely convenient for travelers.